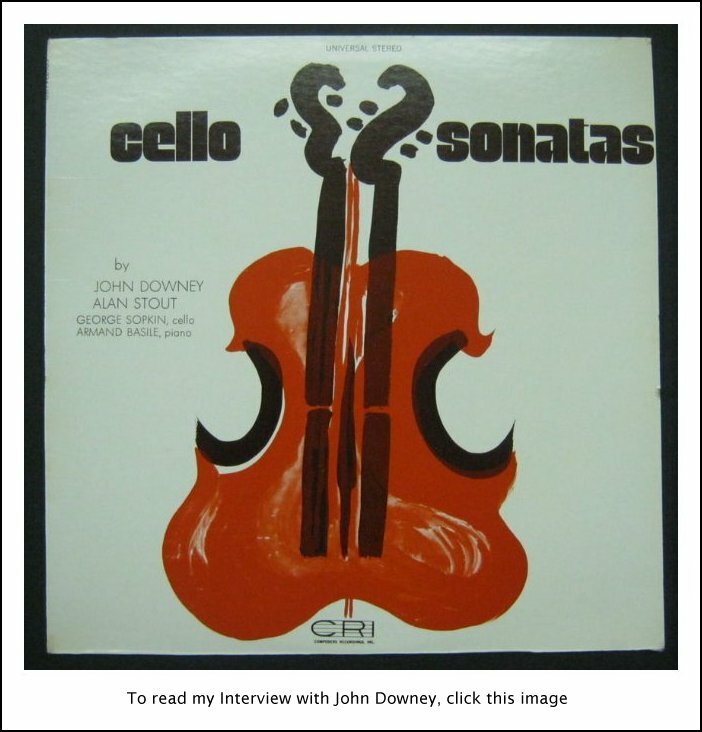 Alan Stout Interview with Bruce Duffie . . . . . . . . .
Alan Stout (b. 1932) is an American composer. He studied concurrently at Johns Hopkins University (BS 1954) and the Peabody Conservatory. 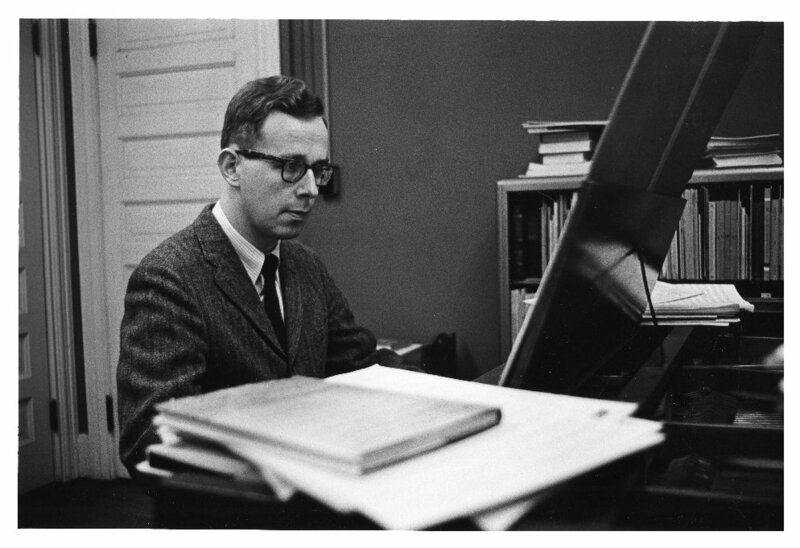 After a year at the University of Copenhagen, he completed his formal musical training at the University of Washington (MA 1959). His teachers included Henry Cowell, Wallingford Riegger, Vagn Holmboe, and John Verrall. In 1962 he joined the Northwestern University School of Music. His diverse musical interests are reflected in the various societies to which he belongs. He is a founding member of the International Gong Society and the International Double Reed Society, a patron of the Schoenberg Institute, and a member of the board of directors of the International Percy Grainger Society. In addition, he has completed numerous performance editions and realizations of unfinished works of composers such as Charles Ives, Anton Webern, and Percy Grainger. He is also an advocate of Scandinavian music. A prolific composer, Stout has written over 100 works. His style exhibits a blend of American experimentalism and more traditional writing. Often based on a relaxed application of the 12-note system, his music makes use of tone clusters, transcriptions of natural phenomena, and rhythmic notations that allow performers a certain degree of rhythmic flexibility. A consistent concern for timbre is also characteristic of his music. Many of his works revise and re-use material from earlier compositions. The Music for Oboe and Piano (1966) and the Music for Flute and Harpsichord (1967), for example, rework sections of the Second Symphony (1951–1966). 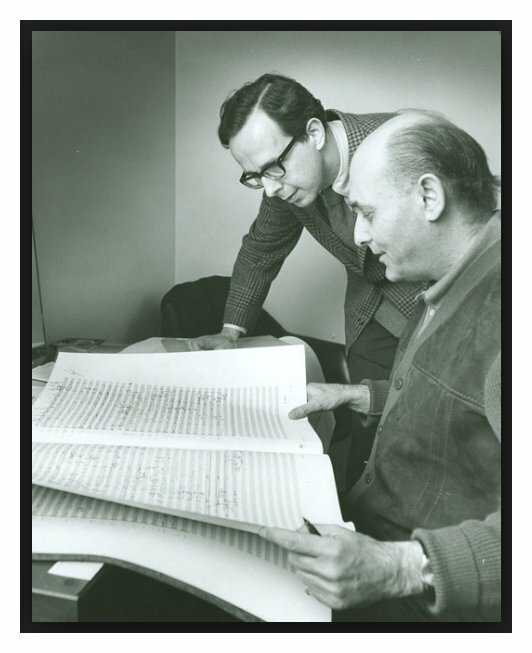 That work, as well as the George Lieder (1962), the Fourth Symphony (1970) and Passion (1975) were given premières by the Chicago Symphony Orchestra. Adapted from Kathryn Gleasman Pisaro's article in Grove Music Online. In this age of full disclosure, let me say up front that my guest for this conversation, Alan Stout, was a colleague of mine at Northwestern University. Having grown up in Evanston, I knew of him while in high school, and after undergraduate work elsewhere, I returned to earn my Master's degree at NU in 1973. As the Graduate Assistant to Dr. Thomas Willis, I knew most of the faculty no matter which department they were in. After teaching instrumental music in Evanston for the next two years, I began my quarter-century at WNIB, Classical 97 in Chicago. As part of my series devoted to mostly American composers, it was a special pleasure to look up this distinguished man for a 65th birthday program in 1997. Portions of this interview were used on the air along with the few commercial recordings of his music which were available at that time. The station was sold and changed format in 2001, and a year later, the Dean of the School of Music invited me to return to NU as a lecturer. It was great fun to do the Introduction to Music classes for the next few years in both the regular and the Continuing Education programs — the day school and the evening school, if you will. I ran into Stout on many occasions in the office, and indeed, it was my old friend who showed me his secret shortcut between the Music Administration Building — the old white building as it’s known — and the then-new location of the music library elsewhere on campus. All of the interviews I have done are important to me and special in some particular way. Usually I keep this bit of personal memento to myself, but somehow it seems fitting to share it as I present our entire conversation . . . . . . .
Bruce Duffie: I assume that music is your all-consuming passion? Alan Stout: Yes, one could say so. BD: Is it too all-consuming? AS: I don’t know. What does that mean? I always feel that there’s more that I have to learn. BD: You have more to learn. Do you also have more to teach? BD: For many years you have been teaching at Northwestern. Did you get enough time to compose? AS: No. Nobody ever does. AS: No. No teacher that I know does. Northwestern doesn’t give sabbaticals. You have to take time off when you can get it. It’s a bit better now, but when I was full-time there it wasn’t the case. BD: Is a major teaching institution a good place for a composer who wants to compose? AS: Where else is there? Unless you’re extremely wealthy, I don’t know the answer to that. But I think yes, it is a good place because it brings you in contact with very bright minds. We have very good students there, and I get a lot from the students. BD: Actual ideas, or just the inspiration to create your own ideas? AS: They’re very aware, and it’s also very gratifying if you can spur them on to do things. You can’t do everything yourself, despite what I said that I like. I feel that I always have something to learn. But there are students that you can sort of steer in certain directions, and they turn out to be experts in those fields. BD: So you’re guiding them with a gentle push, rather than an exact direction. AS: Yes, and it’s not just composition. When I think back over the students I’ve had, one comes to mind especially, and that’s Daniel Stepner, who’s the leader of the Lydian Quartet and also the Director of the Aston Magna Music Festival of early music in Connecticut. He has been Concertmaster of the Orchestra of the Eighteenth Century, and Concertmaster of what they call the Handel and Haydn Society of Boston. He plays both Baroque and modern violin. He was somebody that I think I guided in a certain way. BD: Have you basically been pleased with your students over the years? AS: Yes. I’ve had two that have had national or international reputations in composition — Joseph Schwantner is one, and Augusta Reed Thomas is the other. And then there are others. I had a student at the exact same time I had Augusta Thomas, named Steven Taylor. He’s now teaching at Illinois State University, and he had a major performance with the American Composer’s Orchestra last year. BD: You’re able to inspire them in what they’re doing? AS: Well, not anymore. They’re on their own. [Laughs]. BD: Is that your ideal position, then — to cut them loose and get them on their own? AS: Augusta does. She still sends me things for comments. BD: Are there times when you would like to send your compositions to someone else to look at and maybe make suggestions? AS: No. There’s nobody I really would send them to. The person I suppose I’m closest to is the British composer and conductor Oliver Knussen, and I trust his opinion very much. BD: He has performed your music? AS: He hasn’t, but he’s been responsible for performances. When he was director of the Tanglewood Contemporary Music Center — I think he had that position for five years — he scheduled a work of mine, and he’s also done some of my Grainger Reconstructions in various places. He’s done them in Australia and he’s also done them in the Netherlands. BD: When you write a piece of music, are you aware of who’s going to be listening to it here or anywhere in the world? BD: Does it please you to know that someone a hundred, a thousand, ten thousand miles away will hear it? AS: Yes. It’s always surprising when I learn that people have heard a piece. I never know when it’s going to happen. I don’t do anything to promote myself, as you know. AS: No... well, if you want a superficial type of recognition. But it’s another thing that I don’t like about what’s going on in this country, that composers have agents who are hawking their scores. BD: How should the music get around, then? AS: There’s always been a strong underground network. I think that’s one of the best ways of getting knowledge around. BD: Would you be more pleased if there were more performances of your pieces in various places? AS: I don’t know. I’ve had good performances of certain pieces, and not good performances of others. I would like to have good performances of pieces, and then have those performances preserved somehow or other. BD: You don’t look at a composition as being a one-shot, do you? AS: No, but some of the performances I’ve had have really been quite poor. BD: Have there been any that have been perfect? AS: There’s no such thing. But I’ve had some awfully good performances from Sir Georg Solti [shown with Stout in photo at right] and from Margaret Hillis and from the late Thor Johnson and various other people. There’s a conductor at Northwestern who does not have a conducting position. He’s the orchestra librarian, named Mitchell Arnold, who’s another former student. I now give premiers to him because he conducts my music very well. And one of Thor Johnson’s students, Harold Bauer, who’s out in Dupage County, does very good work. There have been others, but when you start mentioning names you’re bound to leave someone out. BD: I assume that when you write, you’ve been asked to write a certain piece? AS: Sometimes. Right now I just write pieces that I want to write. I don’t care whether anybody asks for them or not. AS: Because I want to write them. They’re exploring things which I’m interested in. BD: Is that what you are, a musical explorer? AS: In a certain way, I guess I am. BD: Then are the compositions the discoveries, or are the performances the discoveries? BD: Then you share the discovery through the performance? BD: You never have the audience in mind at all? AS: Well, the audience is a strange thing. It will respond if the music is strong. No matter what idiom the piece is in, the audience will respond if the piece itself is a strong piece. That’s why I’m dissatisfied with the excessive tendency to praise ‘comfortable music’, as I would call it. BD: You don’t want your music to be comfortable at all? AS: No. Not comfortable, no. BD: Do you want it to be uncomfortable? AS: No, but I want it to be something that you don’t listen to passively. I don’t know if you’ve noticed the programs of most orchestras these days — say, within the last twenty years — but unless you are a very established composer the contemporary work is the light piece on the program. It serves the same function that the obligatory overture did in the earlier days. Instead of Oberon or Meistersinger Overture, you’ve got the contemporary work, and it’s generally an upbeat, easy to listen to piece. BD: But not all composers are writing like that, are they? AS: Of course not, but that’s what gets played. AS: ...I would look at something like the Cleveland Orchestra, which I think has probably the best programming in the country. BD: What is it they do that is so significant? AS: They’ll perform difficult works, and they have an extraordinary work ethic there. They get four rehearsals for every concert, and the orchestra has the ethic to want to get things right. I also think that Esa-Pekka Salonen is doing a marvelous job of programming in Los Angeles, and Michael Tilson Thomas is exploring some very unusual repertory in San Francisco. Even though it’s not contemporary music, Sawallisch has dug up some interesting things in Philadelphia. He knows every note Richard Strauss ever wrote and he’s been doing pieces that ordinarily wouldn’t be heard in this country. BD: So if you could give one bit of advice to managers, it would be to expand the repertoire no matter what? AS: Yes! How many orchestras play the symphonies of Franz Berwald? That’s just one that comes to mind. BD: [With optimism] Any orchestra that has Herbert Blomstedt involved with it, probably. AS: I think he’s much too fast, but he actually edited the Sinphonie Singulière for the Berwald collected edition. So he’s somebody who would be very good with Berwald, but that’s one name that comes to mind. BD: What about Stenhammar? The Chicago Symphony did his Second Piano Concerto with Cristina Ortiz a few years ago. AS: Stenhammar, yes, but not the First Symphony. There are only really two orchestra pieces by Stenhammar — one is the Second Symphony and the other is the Serenade. BD: Where did you get this real intense interest in things Scandinavian? AS: I don’t know. I’ve have it for a long, long time. 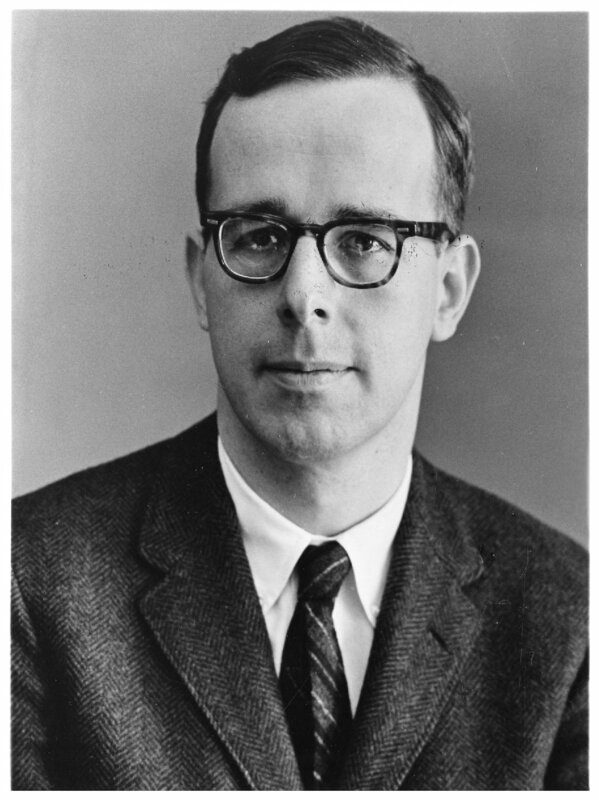 I got a Danish government grant in 1954, and lived there and studied with Vagn Holmboe. He’s another composer that, as far as I know, has never been performed by a major orchestra in this country. Oh wait, yes, he has... Sixten Ehrling, when he was conductor of the Detroit Symphony, did the Tenth Symphony, I believe. BD: He’s getting some recordings now, so that’s a help. AS: Yes. They finished all the symphonies and now they’re on the string quartets and the chamber concertos. He wrote a lot. BD: Do you try to write a lot? AS: I used to, but I do less now. It’s physically hard. I get knotted up muscularly. One thing I find that’s very hard for me to work on is orchestra music, because the scores are just too large. It’s too painful to work on a page very long. BD: But the ideas are still there? AS: There should be a way, but I haven’t found out yet what it is. BD: If there was some new computer gizmo that could take your ideas and put them directly into the computer for transcription, would that work? AS: That might be possible. It’s funny. I like the look of computer print-outs, but I don’t like to do the actual writing at the computer. BD: You’ve never worked with electronics? AS: Purposely. I don’t find electronics per se that interesting, although I like the combination of electronics with live players. I think the great future is in the realm of computer and live players. What computers can do in response to the stimulus of a live performer is quite remarkable. BD: Is the stimulus the composition, or is the stimulus the performance? AS: I really don’t know. BD: Or should it be both? AS: It should be both. I remember how astonishing the performance of Répons of Boulez was about ten years ago in the old gymnasium. BD: Do you believe in putting musical performances in any space at all? AS: If the space works; if the space has the sort of acoustic you’re looking for, certainly. I think we’re not like England or Sweden or Denmark. Our churches are not used very much, but churches very often are extremely flattering, acoustically. BD: Because of the big reverberation? AS: Yes. Sometimes it’s too much, but there are some churches that have just the ideal amount of reverberation. That’s why so many churches in these countries are being used for recording studios. BD: Not too many of your works have been recorded. AS: No, they haven’t. I’ve never tried to get them recorded. BD: Of the recordings that are out, are you pleased with those? AS: Yes, for the most part. BD: For better or for worse, the recording will have a certain kind of universality. BD: That’s something I never thought of — asking someone who has your kind of sympathy to be present if you couldn’t be there! 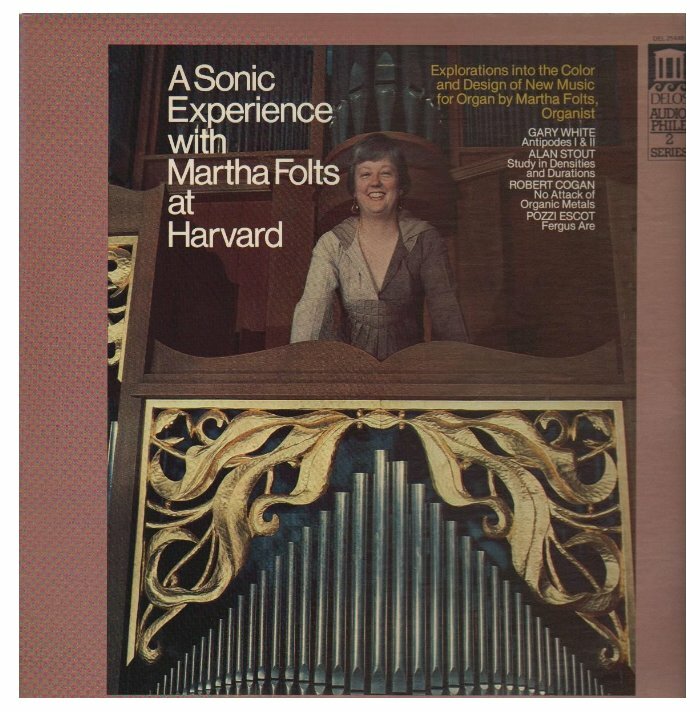 AS: Yes, but that recording could be better because the acoustics at Harvard Memorial Chapel are too dry. They actually put microphones in the stairwells to get some extra resonance. BD: Would you be appalled if they would tweak it a little electronically now, even after the fact, to add a little more reverberation or resonance? AS: I would have to hear the end result. I have heard some good results along that line, and I’ve heard some terrible results. I’d like another recording done in a building that’s acoustically more sympathetic. It was written for Millar’s organ here at Northwestern, and nobody’s ever bothered to record it there. BD: Are there some good tapes of performances that maybe could be licensed? AS: Yes, I think so. Certainly Ken Sotak’s performance is excellent, and Jim Leland, for whom I wrote the piece... I don’t know if there are any tapes of Jim playing the piece. BD: [With a slight nudge] You should get out there and work harder at promotion. BD: Is it really the job of the composer to promote the composer’s music? AS: If you’re a real composer, I don’t know that you have time. A lot of composers, in my experience, are actually quite shy people, and I just don’t see myself, or a lot of my colleagues in the field, pushing themselves. But I have seen composers do this sort of thing in a quite flagrant fashion. BD: For someone such as yourself who wants to concentrate only on the music, wouldn’t it be good if you had the agent doing the legwork you would do if you had another two or three lives? AS: I don’t know because I don’t know what the agent does, except that some composers are getting lots of performances and I don’t know how they’re doing it because I don’t think the music is that good. BD: Okay. What is it that makes a piece of music good, or perhaps even great? AS: It has a certain staying power. It’s something that doesn’t yield all of its secrets on first hearing. It’s something you keep coming back to because there are riddles to be solved. BD: So then you’re really demanding quite a bit of action on the part of the audience. AS: Oh yes. Whether Elliott Carter thinks about the audience or not, that’s the sort of music he writes, and that’s certainly music you keep coming back to and finding more things in. It is the same thing, in a completely different style, with Harrison Birtwistle. 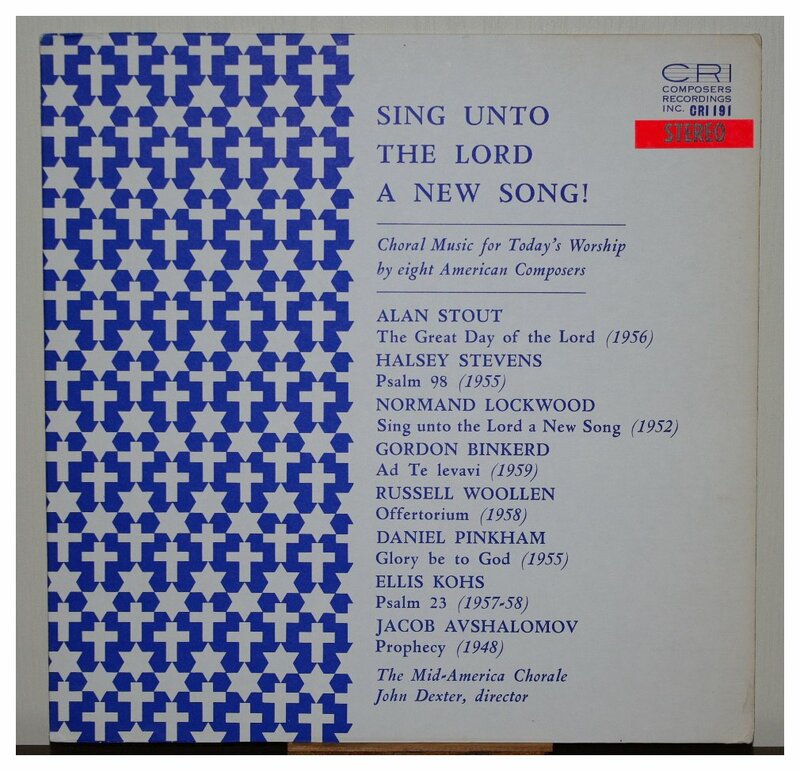 BD Do we find that in the music of Alan Stout? AS: I would hope so, but I don’t know. BD: That’s not something that you can purposely write into the score? AS: No. It’s like saying, “I’m a naïve person.” If you say something like that, then you’re not really naïve. I don’t go out of my way to be complex the way Brian Ferneyhough does, but I like to think that there’s more than one level. BD: So you’re always trying to find the deepest level possible? BD: Should there be, perhaps, an introductory level for a general audience, too? AS: Yes, but the introductory level is something which would speak to somebody who doesn’t have any musical background. A non-specialist hearing a piece of Varèse can capture the strength of the music, and can feel that, and may not know what Varèse is doing, but the strength is there and the reaction to the music is there. BD: Let me ask the very easy question, then. What’s the purpose of music? AS: Maybe it doesn’t have a purpose. It’s something that’s in human beings because every culture has music. BD: Is it in some humans, or in all humans? AS: It’s in all humans. I don’t think there’s a culture in the world that doesn’t have music. BD: Is it in every individual, too? AS: People who say they’re unmusical or unresponsive to music are kidding themselves, because people are in some way responsive to music. They may not be able to hear the difference between a major third and a minor third, but you can tell when a line goes up or down. BD: Is it, then, the responsibility of each individual to try and find that musicality, or is it the responsibility of the composer to nudge that music out of him? AS: One thing that’s gone by the wayside is that schools aren’t teaching anything about music anymore. That’s a terrible thing. No matter how inadequate we may have thought the teaching was, at least people were exposed to music. I’m not speaking about concert music, but any type of music. BD: I would think that there was an overabundance of exposure to commercial music and to rock music these days. BD: But that doesn’t carry over into concert music? BD: Then what is music about? AS: Well, both John Cage and Lou Harrison came up with similar definitions a number of years ago — music is something that quiets the mind and makes it susceptible to divine influence. Cage found it in Zen, and Lou Harrison in early Irish mystic. BD: Interesting that they would both come to the same kind of conclusion from very different roots. AS: Yes. The basic western Mass is a sung event, and the singing is because people could hear better when something was sung than when something was spoken. If you have ever attended an Eastern Orthodox service, that’s entirely sung. BD: So that is music for one purpose? AS: Yes, that’s for one purpose. There’s music for entertainment, which can be on a very high level, or it can be trivial music. There’s a book by Carl Dahlhaus called Trivial Music for the 19th Century, which deals with all sorts of parlor pieces and Biedermeier pieces, and things of that nature. AS: Yes, but on the other hand you have the Mozart Serenades, which are glorious pieces of music, as are the Divertimentos. AS: I don’t know. About thirty years ago, Leonard Meyer wrote a book called Music, The Arts, and Ideas, and he foresaw what happened today — that all types of music are co-existing. So we can have Barber and Babbitt at the same time. BD: Are they co-existing comfortably, or is there always stress? AS: Well, no, they’re existing fairly comfortably. BD: Coming back to the idea of commercial music and concert music, it seems that there’s always a great conflict. AS: I don’t think of Barber as commercial. I think he’s a good craftsman, and a good composer. Meyer felt that we were tended toward a period of stasis in which all of these types of musics could exist simultaneously. He saw it as a period similar to a period in Chinese history when all sorts of things co-existed simultaneously. The same thing, in a sense, is true in Japan, when you have indigenous music from various periods existing, each in its own niche, together with western music. BD: Are they going to stay separate, or are they going to influence each other and then maybe become more homogenous? AS: Oh yes, with western orchestra. He’s also written for those two instruments by themselves. They work very well together. BD: So then the common thread is the music? BD: Can music be a common thread that would unite five billion people? AS: I think it can. It has, at times, but there are a lot of those five billion that I have no idea how much musical experience they’ve had of any kind. I wonder what a lot of the people in the former Soviet Republics of Asia know. BD: They obviously have some kind of sympathy for it, but not a lot of experience with it. AS: Yes, yes. There’s a fascinating culture in Mongolia, but how much experience do Mongolians have of non-Mongolian music? BD: Should they have experience in non-Mongolian music? AS: They must have some, but I don’t know how much. BD: Does it behoove us to give them this experience, or does it more behoove us to learn from them? AS: It works both ways. We have learned from them. There are certain methods of singing that people in Mongolia have that have fascinated quite a number of people in the west recently, when Mongolia became more open to western visitors and such. BD: What advice do you have for someone who wants to write concert music at the end of this millennium, and the beginning of the next millennium? AS: Do it, and don’t expect immediate results. A lot of composers, I’ve discovered, are not interested in writing for conventional ensembles anymore. The orchestra doesn’t interest them anymore because the orchestra has taken no interest in younger composers, except for a very few. BD: So, if you say the heck with me, then I say the heck with you? AS: That’s essentially what it is. One of the most successful composers in Europe right now is Louis Andriessen. He creates extraordinarily unlikely ensembles for his compositions and gets them played. BD: Does he create the music and try to find the ensemble, or does he write for the ensemble he has? AS: He has a whole bunch of ensembles at his disposal, and he can combine them in all sorts of different ways. He thinks nothing of writing for eight flutes and four violas and contrabass clarinet and electric guitars and synthesizer and six sopranos, and so forth. There are people there in the Netherlands that can do things like that. There are ensembles that can be combined. BD: Imagine that they’re getting a group together to perform that piece, and I want you to write a piece for that same ensemble. Will you do it for me? AS: It would be very hard, because I don’t think the way Louis Andriessen does. BD: Are we back to the common thread of music? AS: Yes, but what’s going to happen when those ensembles fall apart — which they eventually will, I think. As it stands now, if you have eight flutes you’ve got some from one ensemble and some from another ensemble. I’m just using an exaggeration. I don’t know if he calls for any flutes or not. BD: I understand, but are we going back to the idea of almost being like a Chinese menu, a little bit from this a little bit from that and combining what you need? BD: When you sit down to write a piece, if it’s not been commissioned for a specific group, how do you decide what kind of ensemble it’s going to be? Does that come first, or do the musical ideas come first? AS: They come simultaneously. I wrote one piece called Pulsar, which was for three brass groups, and that was from the beginning the idea of the ensemble — eight horns, six trumpets, cornet, five trombones and a tuba, and three sets of tympani. BD: Sounds like an unwieldy group. AS: It is, but I had two precedents for that piece. One was one of my teachers, Wallingford Riegger, wrote a piece in 1949 called Music for Brass Choir, which was for eight horns, ten trumpets, ten trombones, two tubas, and percussion. So I was within the limit of Riegger’s group. Then a few years later, Henry Brant wrote a piece that used Riegger’s ensemble, plus six saxophones and two euphoniums, more percussion and a coloratura soprano. BD: Of course, Brant was concerned with the spatial ideas, too. AS: That’s a fascinating piece, and I wish we could do it around here. It would take a special hall to do it in. BD: Should we get the civic leaders to build a hall for contemporary music? Or is it possible even to build a hall for contemporary music? AS: No. I think what Boulez did in Paris is about as close as you’ll come. It’s interesting, because Stockhausen was talking about such a building the first time I ever heard him speak, which was in 1959. He was conceiving a new type of hall, and that new type of hall has been built, but it was built by Boulez, or under the directorship of Boulez rather than Stockhausen. BD: Does that please Stockhausen? AS: I hardly think so. BD: Does it please you? AS: Yes, because you can do all sorts of things. You can control the amount of reverberation. You can shape the walls any way you want. BD: How much control do you as a composer want to have? AS: When I write the piece, I like to be able to give it to the performers and hope that the notation is clear enough that they don’t have to come back and ask questions all the time. BD: Do you expect them to put their own personal input into it? AS: Everything that I’ve mentioned. I’ve never really had to say very much to the conductors I’ve mentioned about what they were doing; they simply did it. The Lydian Quartet that played my Sixth and Tenth Quartets, learned the pieces, and then when they came here they played them for me. In the second movement of the Tenth Quartet they said, “We think this movement would sound better muted,” and I agreed with them. It was their idea and it was their input, and I agreed with them completely. BD: Did you then change the score? AS: Yes. Sure. It worked out much better. AS: Not overly. I’m not as pessimistic as some people are, though, because I keep seeing young composers come through that are really good. I am pessimistic because this country’s one of the worst in terms of the exposure people get to what younger composers are doing. I’m now approaching ‘old composer’ status. [Laughs] I’ll be sixty-five this year. BD: Are you pleased at being sixty-five? AS: It doesn’t bother me one way or the other. BD: Are you pleased with what you’ve accomplished so far? AS: No. I’d like to have done more. I have a whole pile of stuff that I want to work on. Probably now the summer will be time to do some good, sustained work. BD: If you were free from any other responsibilities and just were able to compose, would that be enough time? AS: Mm-hm. It would be enough time, but it would be a very lonely time because composition is a lonely thing, and I do like to have contact with people on occasion. AS: Yes. It’s also work. I think the title of one of Elliott Carter’s pieces sums it up very well. It’s a four-minute piece, but it’s called One Hundred Times One Hundred and Fifty Notes. You have to put all those notes down on paper. BD: It is true that each little note gets its moment? AS: Well, there’s some you can’t hear because the textures get so dense, but there’s something there. BD: But when you’re writing a piece, are you conscious of each little note, each little dot and squiggle? AS: Yes, absolutely, if they go under whatever controls I’m imposing in that particular piece. I find there are some places that are very healthy music atmospheres. I think the Netherlands is extremely healthy, not that there’s that much great music, but at least they’re about twenty years ahead of us in terms of repertory. BD: [Playing Devil’s Advocate] If there’s not that much great music, then perhaps the healthy atmosphere doesn’t engender more great music. AS: Well, it’s starting to, because the Netherlands wasn’t known for major composers. It’s getting them, and both Finland and Denmark right now have produced some remarkable composers — Magnus Lindberg in Finland, and somebody that I went to school with in Denmark, Per Nørgård, and some of Per’s students, Hans Abrahamsen, Poul Ruders, Bent Sørensen and Karl Rasmussen are all quite remarkable. It’s a very, very intense musical scene there. BD: Is Alan Stout a remarkable composer? BD: You don’t need to concern yourself with that? BD: You just do it, and let someone else decide? BD: Thank you for all that has come so far, and all that will come in the future. AS: I hope they will. BD: Thank you for all of the wonderful years at Northwestern. The students there have benefited immensely from your guidance, I’m sure. AS: I hope so. I hope I’ve stimulated them in some way. This conversation was recorded at the home of Alan Stout in Evanston, Illinois, on June 12, 1997. Portions were broadcast (along with recordings) on WNIB later that year. This transcription was made in 2014 and posted on this website at that time.